Home » Postmatic News and Blog » We’re delighted to show you what we’ve been working on over the last few months. We’re delighted to show you what we’ve been working on over the last few months. Postmatic continues to be the best engagement system for WordPress. The combination of delivering blog content directly to subscribers, while also letting them reply, has proven itself as a fantastic way to grow engagement. But what if you already had a way to deliver content to your users and instead just want an affordable, smart, and two-way comment notification system? You know, one that would intelligently send selective comments to subscribers, and let them hit reply to send a response? Something like the best parts of Postmatic, starting at just $2.99/month? That’s Replyable. This is a great announcement and really does fill an important niche. For those of you wondering if you should try it out then please do – I have been using Postmatic Pro since the beta testing and it is fantastic and the service and support from Jason and his team is terrific. Subscribe to Comments for the modern age. Smarter. More contextual. Mobile ready. Replyable. Replyable brings the best parts of Postmatic to every WordPress site. It’s affordable, zero-configuration, and built of the same stuff that has made Postmatic the engagement system of choice for WordPress professionals. 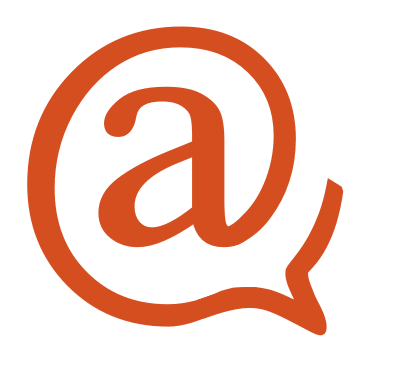 What makes Replyable different from Postmatic? Postmatic has always been priced for mid to high-level sites. 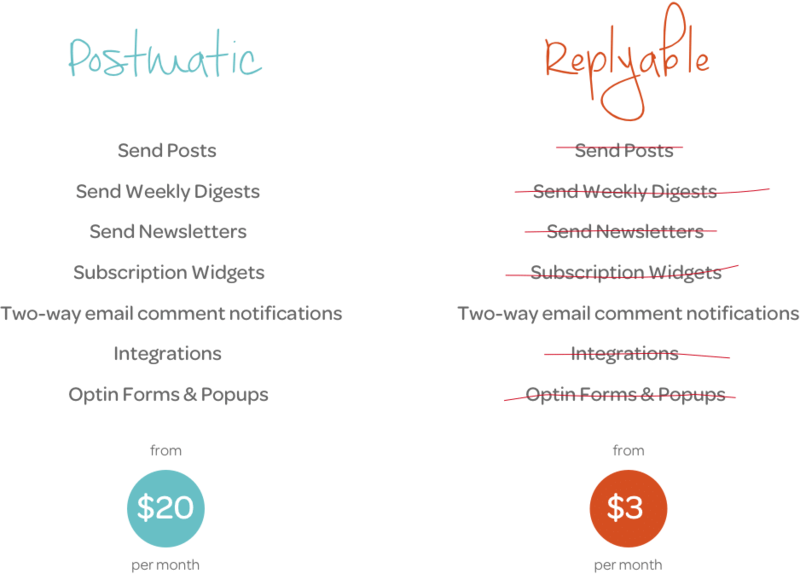 A starting price point of $20/month is steep for sites that wanted to use just the email-based commenting features of Postmatic. We’ve brought the price down 85% to a comfy $2.99/month. We hear from plenty of users who love the commenting features of Postmatic but already use another email service for delivering content. Replyable focuses on being the best comment subscription service possible. Nothing more. Replyable will be up and running on your site in minutes. There is no account to setup, no api keys to manage, and no settings that require your attention. Install directly from your WordPress dashboard. The plugin can be found on wordpress.org. Choose a paid plan to enable advanced features, or just use the free version forever. Enter your payment information (either credit card or paypal) directly from the plugin settings screen. Done. The comment notification template automatically self-adapts to the active theme, email service is handled by our servers, and everything just works. We’re proud to announce that Replyable is available now in the WordPress repo or at replyable.com. Existing Postmatic users who are curious about switching to Replyable can read about the process at the Replyable support site (spoiler alert: it’s painless). If you are wondering about the difference between paid and free Replyable plans you can find a chart here. We’ll be posting a lot more about Replyable over the next few weeks. Please share your thoughts and keep in touch. When it comes to social media marketing, the majority of the advice you’ll receive centers on publishing content - how often, when, to be consistent. Well, we should talk less and listen more. The only way for you to succeed and grow your blogging business is to solidify your branding for your blog. It's one thing to build a community and another to build an engaged community. Blog comments do this very well.